We have the expertise to tell you. What is my Sailboat or Powerboat Worth? Are you thinking about selling your sailboat, power yacht or other type of boat? 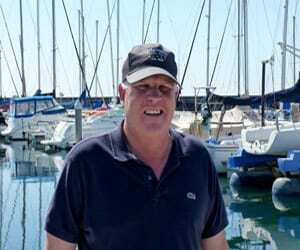 Chandlery Yacht Sales has been helping people on the west coast – and beyond – sell boats for over 70 years. We have the experience and contacts to get your craft sold for the highest price in the shortest time possible. If you’ve tried some of the online “what is my boat worth” guides you probably got a bit frustrated. It takes years to learn the ins and outs of accurate yacht pricing. Luckily, we have been valuing boats for decades. Just fill out the form below, and we’ll get back to you with an answer to your “what is my boat worth” question. We have sold hundreds of watercraft and have the knowledge it takes to give you an answer that will help you make a well-informed decision. Thanks for trusting our family to take care of yours. Please understand, we will do our best to give you an accurate answer to your “what’s my boat worth” inquiry. An actual inspection of your sailboat, power yacht or other type of craft is the best way to give you the most accurate value.